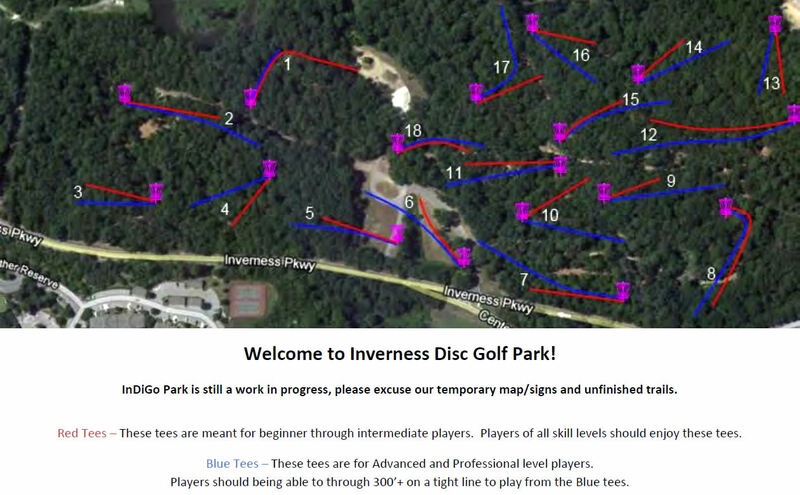 Inverness Disc Golf Park (AKA InDiGo) is in Inverness Nature Park with rolling hills and fairly dense woods. Dual tees and pin positions. From I-459; exit 19 to Hwy 280 East. Go 2 miles to a right on Inverness Parkway, then 0.5 mile to the Park entrance. Enter park and turn right to parking and 1st tee. Heavily wooded. Challenging course. A must play in the B'ham area.